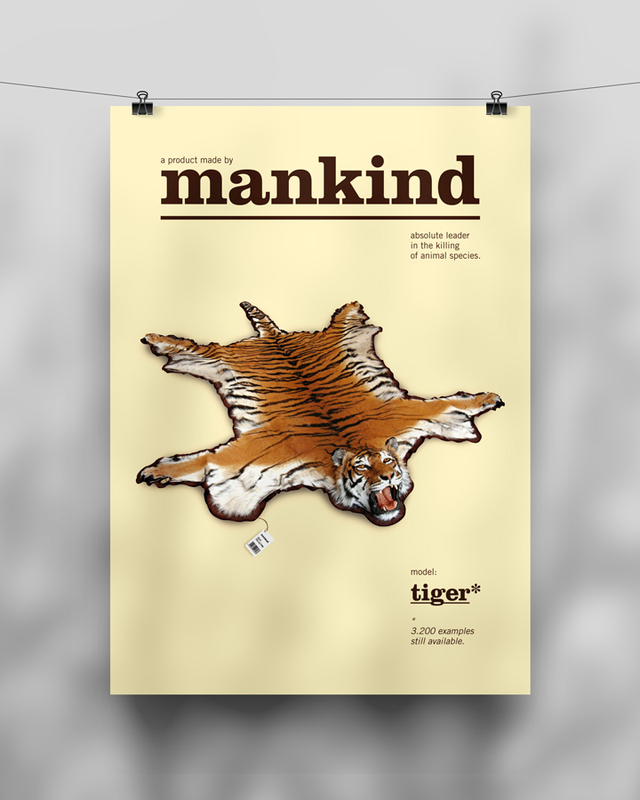 This poster is my submission for the 2010 edition of the Good 50×70 poster competition, on the thematic of ‘Tiger Extinction’. 2010 was the year of the tiger in Chinese calendar. 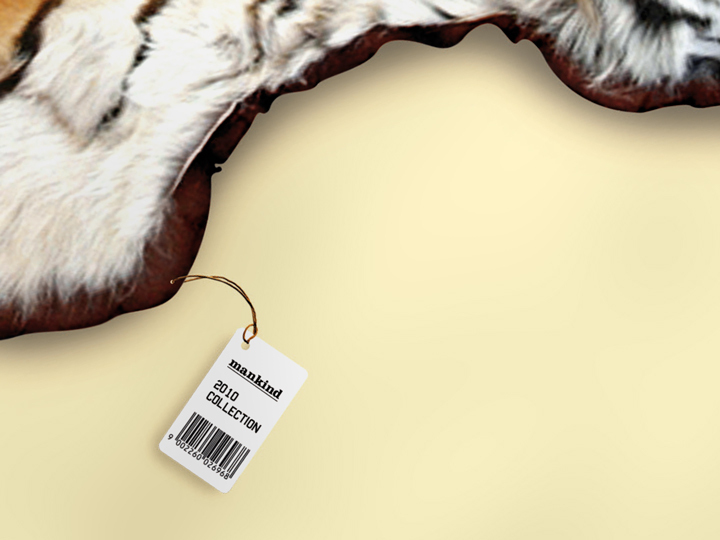 It was an opportunity to raise attention to wild tiger populations decline. Given the chance (enough space, prey and protection) tigers — one of the greatest icons of conservation — can recover. 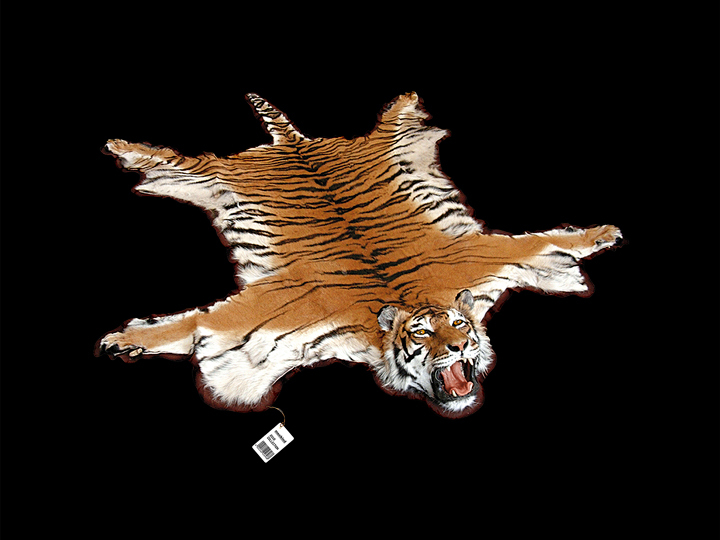 Tiger represents perfection and beauty, an animal that emanates magic and commands respect. Despite the tiger is strong and powerful, can not do anything in front of the cruelty and greed of humanity. 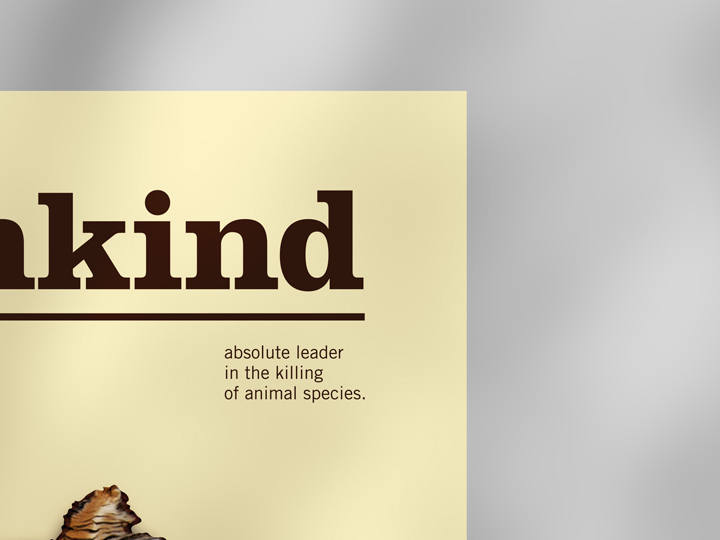 In fact, mankind is bringing this fabulous animal to extinction. It is sad to imagine in the world only 3200 tigers still living. 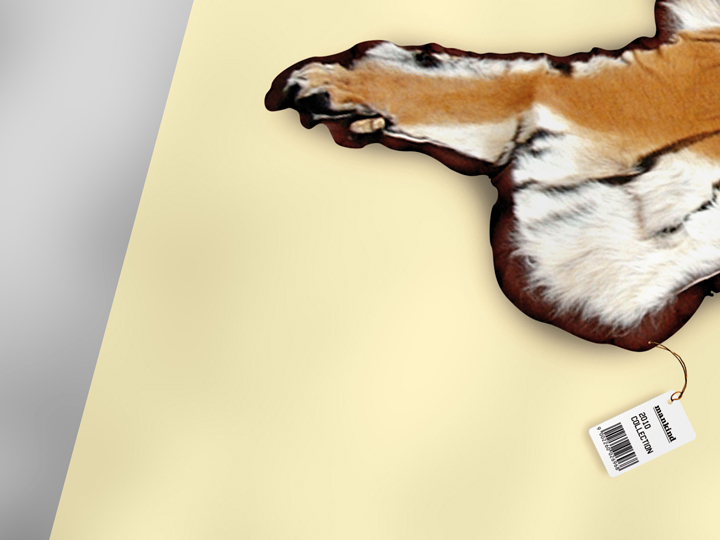 It is even sadder to see a mighty tiger reduced to a hunting relic or ornament. 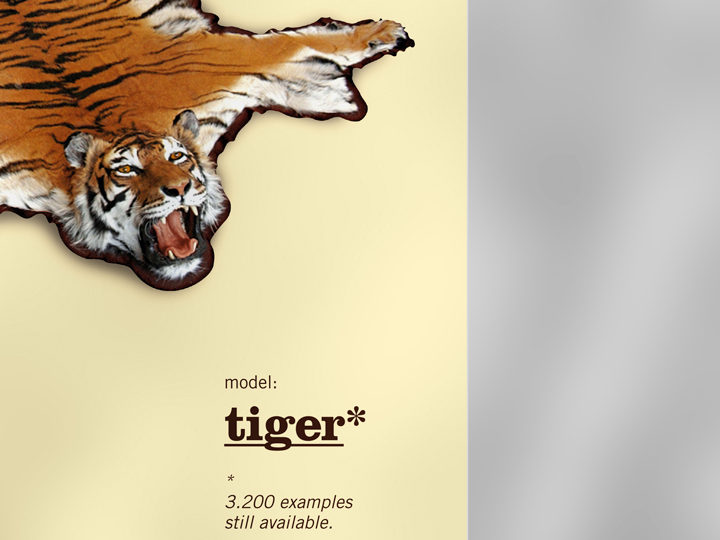 In this poster I tried to symbolize this idea with a representation of a tiger rug. A rug that, as in an advertisement, is presented with pride as a product ‘made by mankind’. The problematic that stands behind this work is that mankind is acting like a hypothetical business-company which doesn’t care about morality and wrong actions. The goal of this provocative poster is therefore to be a warning.